A couple days ago, we heard the news that Google was looking into adding subscription plans to YouTube, and that such subscriptions could go into effect as soon as this spring, around April. Not surprisingly, quite a few of you were very resistant to the idea, and felt that when something starts out as free it should stay free (or ad-supported as it were). But, we've been thinking about it, and we think we know why you actually do want YouTube subscriptions, even if you don't know it yet. So, the news was that Google is looking into adding a premium subscription model for channels that want to offer it. The basic business idea is that some content creators may want to monetize through more than just ad revenue. The idea is that a channel would charge somewhere between $1 and $5 per month for access to the premium content. We still don't know exactly how this will all work, and likely neither does Google, so let's walk through the options first. The subscription fee could remove ads from the content, but the content of the channel will stay the same as it is now. The subscription could be for access to bonus content or extended versions of the shows that you get normally for free. Or, certain content from a channel could be set aside as premium, while others stay free. The key to all of this is in the difference between a show and a channel. For this part, we will use the term "show" to refer to what has traditionally been called a "subscription" on YouTube, that being: following a series of videos, and we'll use "subscription" to differentiate the paid subscriptions that are being talked about. There are many good video series to subscribe to on YouTube, like the PBS Idea Channel, Minute Physics, Action Figure Therapy, or Big Think. But, those are just shows. Sure, the content creators could start charging a premium fee for those shows, but that's highly unlikely because a big part of the value of those feeds is that they are free. On the other side, there are channels, like I Am Other, Nerdist, College Humor, Geek and Sundry, and The Wall Street Journal. These are more than just shows, these are collections of what would normally be a number of different shows. Channels tend to put more effort into the videos they create, or at least put more production money into the videos, so these are the ones that are more likely to choose a premium model rather than just offering ad-supported versions. 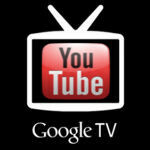 Let's think of this in terms of regular television (because there is no doubt that is what Google is doing). Originally, there were just a few channels broadcast over antenna and these were essentially free and ad-supported. Eventually, cable came along, which made the variety of content available skyrocket, and it also brought along the current system that we have which is a hybrid ad-supported/paid subscription model. The ads help pay for the shows that are being created, while your subscription fee goes to support the cable company's infrastructure and the channels. One of the things about cable that is beginning to annoy quite a few people is that we are still using the bundle method to pay for TV. You pay for a whole group of channels, even if you don't watch half of them. Google wants to change that with YouTube. Sure, there may eventually be an all-you-can-eat bundle subscription for YouTube, but at least to start, Google wants to give users exactly what cable companies may never offer: pay for only what you truly want. And, in the process, Google could attract some interesting partners to YouTube, like smaller cable channels that traditional cable companies don't deem worthy of support. Just yesterday, during the Q4 earnings call, Time Warner's CEO was talking about some of the smaller cable channels that are being dropped from the service because "hardly anybody watches them". We understand that the first set of channels that could migrate over would be targeting extremely niche audiences, but that's exactly what YouTube does best anyway. 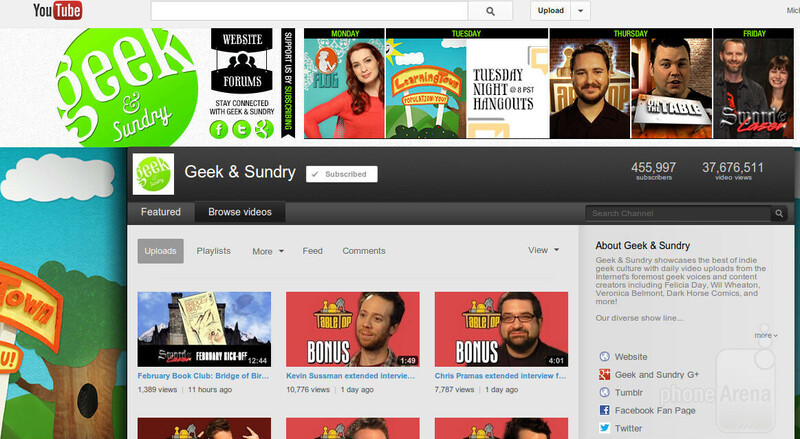 How many traditional cable companies would carry the Geek and Sundry channel? Probably none, but if you're into gaming, it's a great source for content. It already has over 450,000 subscribers, and if even half of those subscribers stuck around for a premium subscription of $1 per month, that's a solid stream of revenue. And, the more small channels that move over to YouTube (none of which are in the image to the left), the more will follow. And, maybe most importantly, paid subscriptions means you get to support the content creator that you choose, rather than just paying a lump sum for content you love and content you hate. We can't speak for everyone, but we like the idea of knowing our money is going directly to the content creators we love. Obviously, this sort of content would be a huge boon for YouTube, and Google TV, but of course, we can't finish this thought experiment without considering the mobile side of things. So, imagine that the few people that were fans of Ovation (a channel recently dropped from Time Warner) could just pay $1 to $5 a month and get the shows that they no longer can't get on cable through YouTube. And, because it's YouTube, they'll be able to watch anywhere, anytime, on mobile, traditional desktops, or even on their TVs with boxes like Google TV. Not only will the content be available anywhere, anytime, but there's no more need for recording devices, because the basic nature of YouTube is on demand content. Google has already been working hard to make your mobile device into a remote control not only for Google TV, but for any YouTube app that you have running on your TV, be it through your PlayStation 3, Apple TV, or even just a smart TV with YouTube built in. Suddenly, the content that you want is not only with you in your pocket anytime you want it, but that content can easily be transferred to your TV when you get home. YouTube has been getting more and more live events. It already has movie rentals. Better shows and content are coming all the time. The only big hurdle for YouTube as a content provider is in getting live sports. Of course, sports channels make up close to 40% of the monthly fees that you pay your cable provider, so that's one piece of content that cable companies don't look to be giving up any time soon. And, The Olympics doesn't happen frequently enough to really help out YouTube too much on that front. Many people just want to jump straight to the doomsday scenario of "what if everything on YouTube starts charging a subscription fee", but that's nothing more than hyperbolic nonsense. There is absolutely zero chance that would ever happen. Just look at news websites for the example: a few of the very biggest and best put up paywalls with subscription fees and were able to retain enough users to be successful. But, the vast majority of sites still use the free/ad-supported model, because it is simply far better for traffic. A subscription fee and paywall makes it more difficult to access content, and so many people just don't bother. But, because there are alternative sources, it's not really a problem. The same would be true of YouTube. Say College Humor starts charging a subscription fee. You may be upset to lose Jake and Amir, but there are plenty of other channels on YouTube that have quirky comedy, and even more will come along trying to bring in the viewers who weren't willing to pay for College Humor. In the end, the best content on YouTube could get better, and the competition could get more fierce with failed cable channels diversifying the content available. Just remember, not all of the shows on YouTube will start charging. Only channels are likely to start charging, which means you'd be paying for access to multiple shows, and quite a bit more content than just one show that us updated weekly. Channels tend to offer multiple shows that are consistently updated. That's not such a bad deal, if the right content creators get on board. As soon as sports hit youtube, then its adios for the cable and satellite companies. I cut the cord two years ago but I still long to have to my sports channels back. I have NFL for my VZW phone which is nice during football season but thats one app in a see of many that barely gets the job done. The sooner the providers realize just how much money they can make off a ala carte model the better. Nice perspective, Michael. As always...you bring some thought provoking articles. I didn't really have an opinion about this. Will be interesting to see what they do. I just hope channels like HBO, Showtime etc join in on this. All the shows, and I mean all of the shows I watch are on the premium channels like HBO, Showtime and Starz but in order for me to have those channels I have to pay for a higher tier plan to get them. (in order to get the premium package I have to pay for 200+ channels I dont want) All I want is my 3 local channels and the premiums. Atleast I can't pass out my nights without Vsauce or minutemadephysics or others out there if it happens. If the dude that makes numberphile (and a ton of other YouTube shows) makes a paid channel, I'd definitely support him. Yeah, numberphile, scishow, 1veritasium, philinthecircle, quickerology, sixtysymbols and lot others are alos my fav. They might charge for ALL HD content... *gasp!!! what's next Googl€ license fees for android phones? People love YouTube because its free and we're fine with the adds, if we want paid subscriptions there's Netflix, Hulu. Google just wants a peice pf that pue. But really i dont see this taking off because yourtube is known for free content and thats what its gonna be known for. I remember when the first started placing ads in videos and it was really annoying. But the majority of users arent gonna want to pay for premium content because there is so much user uploaded content already there is no need. Im sure a few people will pay for it but once google realizes that its not doing so well they are gonna pull the plug. TV used to be free too. Would you rather we stayed with antenna TV than evolved to cable? All I'm saying is that we can't know what will happen after YouTube introduces paid subscriptions. Sure, it could be that it works out badly. But, there's also the very real possibility that YouTube could become a legitimate competitor to cable in a way that Netflix is just starting to get into. Well stop comparing YouTube to those Mainstream Hollywood Productions. Because before YouTube is bought by Google it was meant for anyone who wants to be broadcast him/her self to the public without the help of those big production companies. YouTube was meant to be free from the beginning unlike cable and Netflix it is for paid subscription from the start. And now what they put those big production companies in? Next thing you know their lawyers will be on small YouTuber's because they are earning money. Then it's not YouTube anymore its HollyTube. It's better if google make a different site for that. Stay on mobile Devices Michael!!!! First, I never mentioned mainstream Hollywood productions coming to YouTube. I mentioned the smaller cable channels that don't cut it on cable, and they are much closer to the indie production outfits you see on YouTube than on TV. Second, YouTube is going to evolve, whether you like it or not. But, understanding the process could help you to give better feedback to Google and shape how that evolution occurs. Change isn't inherently bad. @Michael H. There is some truth and logic to your words. However, if you have been alive long enough. You must know, today it may be $1 or $5. Down the road, Disney may want a cut, Comcast, Universal etc. Before you know it, we are paying $49.99 and upwards. Do you remember when pay per view was started? Wrestling and boxing, $10, now you can't touch an event for lest than $39.99. just like on adult sites, some contents are free and some contents are premium with some samples, of we want to watch, we must subscribe. the paid content may include video clip of songs, movies, cartoon/movies series/soap opera (episodes that not release on the tv yet with, may be, optional subtitles). and yes, they'll compete with the tv cable and netflix, but may be with a difference here and there and some common content of subscribed videos/movies site. Frontrowsportsdoteu is a great site for most American sports, and I can think of a handful of sites where you can watch any episode of any cartoon or TV show. Series-craving is one such site. Plus, i can watch almost any current movie in the theater online. So, why pay for cable? They show so much crap, repeatedly, on different networks. TV should be where one can watch any episode of any TV show on demand. Current on demand goes back only a few weeks. Michael your perspective is only from a person from north america. what about the people like myself from other countries? Being American, it's nearly impossible for me to write from the perspective you want. Sorry. All I know is that YouTube and streaming content is working very well in countries with high average internet speeds (Japan, Korea, Germany, etc). But other countries (like Jamaica where I am now) are much father off. Left out for now, but technology propagates out to everyone eventually. We're slowly pushing towards a global market with the internet. I dislike how this article primarily focuses on the idea that the subscriptions will be like premium channels on TV. You dont know that. Also, how you think that it will be limited. Once something takes off and most of the popular shows are blocked, you can probably guarantee the little channels will likely follow to blanket the service. What a terrible article. Can someone please explain to me WTF youtube has to do with cellphone news? I don't think WP and Windows RT/8 users don't share that thought. Also I think your confusing yourself the difference between an app and the website itself. Ask any WP user what is the number one app they want on the platform and the answer will be either YouTube or Google Maps. Fascinating, really. So now you're "reporting" on things you think should be available? L O L I guess it's better than one of your classic apple love letters.